Recent books and articles have made strong claims for an evolutionary explanation of various human behaviors. These writings may be classified according to two positions on the evolution of human behavior. According to the first position, differences in behavior between groups of humans, (e.g., in intelligence) are said to be due to genetic differences. According to the second position, behavioral similarities among humans (e.g., in mating and aggression) are said to be due to genetic similarities. The evidence for these evolutionary explanations consists usually of a combination of evolutionary logic supported by general observations or correlations, behavioral analogies and comparisons with nonhuman species, and statistical analyses of data generated by non-experimental research methods. This paper presents a critique of this evidence and concludes that it is flawed scientifically and, therefore, it is insufficient to support an evolutionary explanation of human behavior. 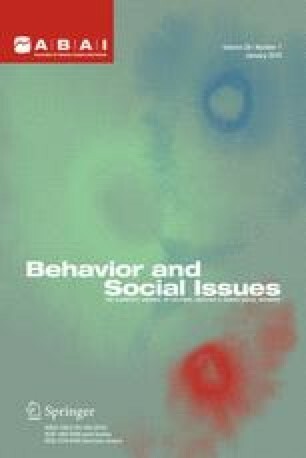 The paper concludes that environmental explanations represent an often more parsimonious alternative to evolutionary explanations, and, consequently, behavior analysts are in the best position to offer practical interventions for many ofthe behavioral problems that beset society. Portions of this paper were presented to the 21st Annual Convention of the Association for Behavior Analysis: International, Washington D.C., May, 1995. I am grateful to Dennis Kolodziejski and especially Julie Riggott for their very helpful comments and suggestions on earlier versions of this paper, to David Palmer for his help with the section on correlative analysis, and to the Skeptic for granting permission to reprint portions of this article here.